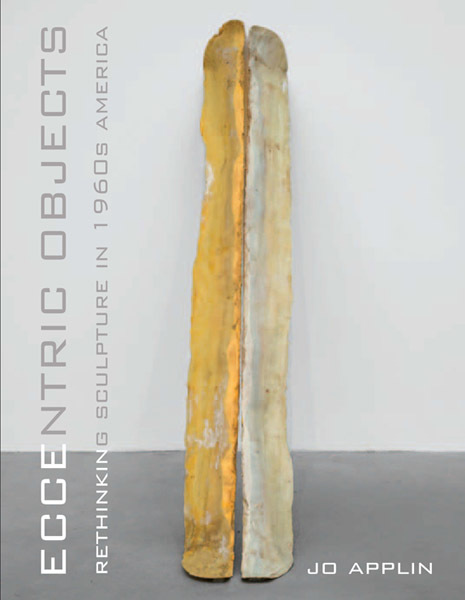 Interested in sculpture as I am, I did wonder two things about this book. Firstly, what was its relevance to potters and ceramicists, and secondly, what was the relevance today of this study into a particular group of five 1960s American artists. This latter question seemed to be answered early on in the book’s introduction. Writing about a time associated with a clean and crisp modernist aesthetic, Applin aims to “restore to the period that sense of complexity … to unsettle critical categories … and to reimagine sculpture in the 60s”. As to the former question, the portrait drawn of the five artists fleshes out how their work refused or extended the received understanding of sculpture in the 60s in ways and language that would be very familiar to ceramicists. Lee Bontecou’s wall-based works not only stood in ambivalent relationship between painting and sculpture, they presented the void or hollow as their focus or centre. Claes Oldeburg’s ‘cuddly’ sculptures, framed by Applin as Winnicottian “transitional objects”, attempt to reorientate our way of seeing objects. Their “poetics of softness” allude to tactility and the sense that fixed states are in fact collapsible and transformable. The chapter on Lucas Samaras highlights the operation of messiness, clutter and crowding-out in his box sculptures as an alternative to the clean, logical and clear structure of the minimalist cube. As a bricoleur and craftsman, H.C. Westerman’s “odd thorough objects” present the skill of making itself as a form of knowledge. Finally, the value of including Bruce Nauman is his attempt to understand the influence and interconnectedness of other artists by his appropriation and consideration of other artists’s work (peers and modernist predecessors) in his own. With what seems to be a renewed interest in materiality in art today, it is perhaps not so eccentric to highlight the fact that the turn towards embodied experience, complexity and connectivity was already there in the 1960s. This entry was posted in Uncategorized on February 14, 2013 by jacktan.